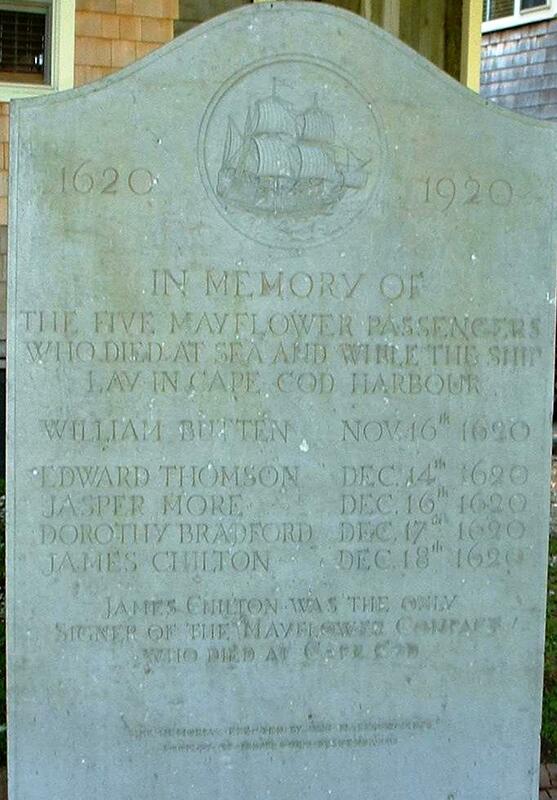 Our colony was named for James Chilton, probably the oldest passenger on board the Mayflower. James was born about 1556 in Canterbury, Kent County, England. He was the son of Lyonell “Chylton,” a yeoman of considerable property residing in St. Paul Parish. James Chilton, tailor, was listed as a freeman of Canterbury in 1583. He married before 1587, possibly Susanna Furner, daughter of his stepmother and her first husband, Francis Furner. Seven children were baptized in Canterbury to James. About 1600 the family moved to neighboring Sandwich where three more children were baptized, including his youngest daughter Mary, who was baptized at St. Peter’s in 1607. Undoubtedly it was there he met Moses Fletcher, a fellow Mayflower passenger, as well as other Pilgrims who later went to Holland, and so was drawn into the Pilgrim movement. James Chilton must have been in Leyden, Holland as early as 1615 because his daughter “Ysabel Tgiltron spinster from Canterbury” was married in Leyden in 1615. Descent from James Chilton has been proved through only his eldest daughter Isabella and his youngest daughter Mary. None of the other children appears to have lived to maturity. Shortly after arriving in the New World, James died on 18 December 1620, scarcely a month after signing the Mayflower Compact … the only signer who died at Cape Cod. His wife shortly followed him, dying during the First Sickness at Plymouth sometime after 21 January 1620/1. At thirteen Mary Chilton was thus left an orphan at Plymouth. No record reveals with whom she spent the next few years, but perhaps for at least a part of the time she was a member of either the Alden or the Standish household. In the 1623 land division “Marie” Chilton received her share (undoubtedly three acres–one for herself and one for each parent) between the share of John Alden and Myles Standish. By the time of the cattle division of May 1627, Mary had married John Winslow and the couple were included with John Shaw’s group.